Get ready for an experience that you’ll remember for the rest of your life! 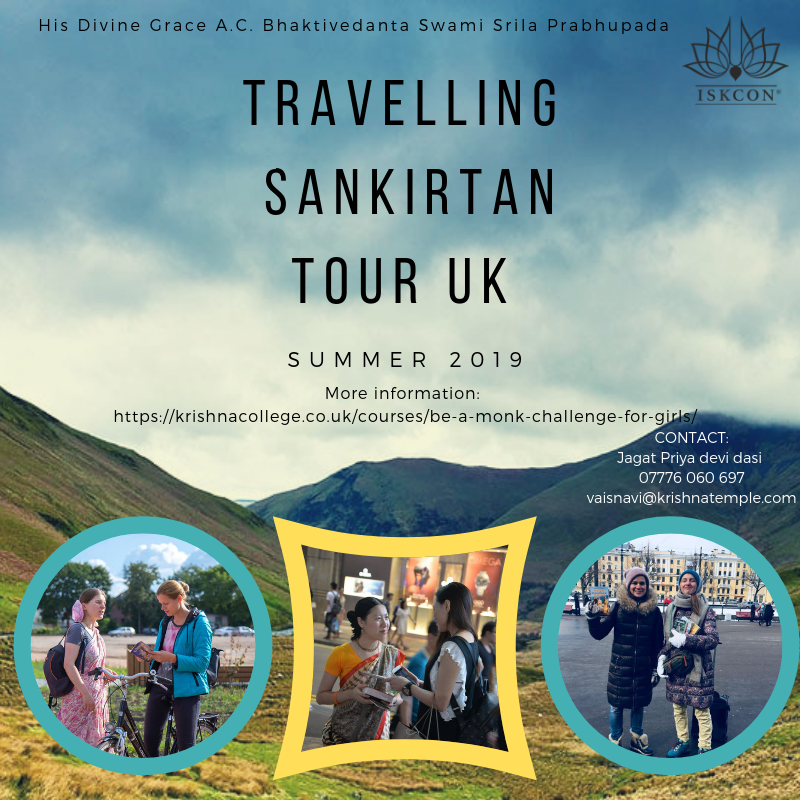 Travel around UK distributing books, doing Harinams and preaching programs, have a wonderful sanga of other lady preacher and be ready for lots of adventure! 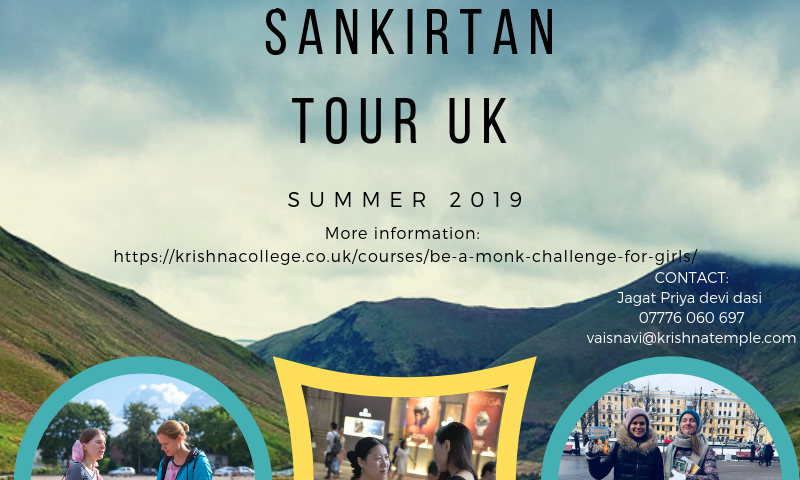 Bhaktivedanta Manor ladies ashram is inviting YOU to join a traveling sankirtan party this summer! 3rd of June to 27th of July, 2019.You can join for 1 week, two weeks or even the whole period. We would travel around UK, going to places like Norwich, Newcastle and other places around UK. We would decide the exact travelling schedule together, depending on the circumstances. Afternoon program is optional. Those, who feel inspired, may continue to distribute books, do a sitting Harinam, occasionally we would also have some preaching programs together with Hare Krishna Festival team or Mind, Body and Soul. You do not need to pay anything to attend; however, we would need to maintain ourselves from the money collected from book distribution. All the money collected would go to book cost, expanses as petrol and maintain ourselves. The rest would go for Bhaktivedanta Manor. You may come from any part of the world, the only thing required is that you follow the four regulative principles and chant 16 rounds. Most of the girls will be distributing books; however, we also need a cook and a driver, who do not necessarily need to distribute books.